This week's deal is easy! All you need to do is come into the roastery wearing green in celebration for St. Patrick's day and receive a 2oz bag of this month's flavored special, Irish Creme. Also if you wear green then we won't pinch you either. 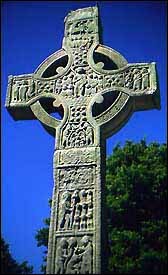 In"Celtic Cross", "History Channel", "Irish Creme", "Irish History", "St. Patrick's Day", "vienna coffee company"